What was Napoleon Hill’s belief around the use of time? | Sarder TV – Learning Ideas. You are at:Home»Business»What was Napoleon Hill’s belief around the use of time? 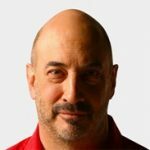 Jeffrey Gitomer discusses why Napoleon Hill believed that time is the most precious commodity in the world. He talks about how Hill recommended to be successful it is essential to use time wisely investing in yourself and your career. Previous VideoWhat does Napoleon Hill want us to learn from adversity? Next Video What are Napoleon Hill’s seven rules for success?